Located along the beautiful seaside shores of Myrtle Beach, South Carolina, Bali Bay stands with distinction as a luxury resort, offering guests stunning, modern accommodations and exciting amenities for groups of all sizes. Newly renovated and decorated, the condos at Bali Bay Resort put guests in the lap of extravagance, with granite countertops, leather furnishings, flat screen televisions, and spacious living and lounging quarters right near the beach. Condos range in size from 2-bedroom ocean view condo rentals to 7-bedroom oceanfront penthouses, so we truly have something for each group type. No matter the size, all of our condos come with fully-furnished kitchens, washers and dryers, cable television, private balconies, and complimentary WiFi Internet access. 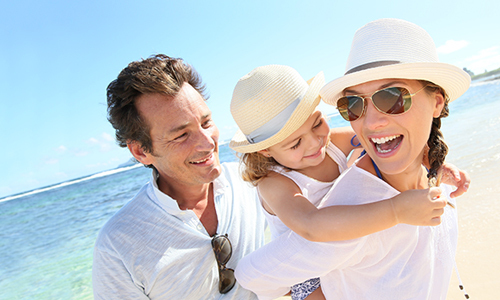 Whether you're looking to experience a romantic couple's retreat or a sprawling family vacation, you'll find exactly what you need for your beach getaway when you stay at Bali Bay Resort. Whether you remain on-property or venture around the city, you'll find plenty of thrilling things to do! On-site amenities include a huge oceanfront pool and lounge area, where you can experience the beach without all of the sand! When you're ready to dip your toes into the Atlantic, just walk over using our easy beach access and spend the day collecting shells or splashing in the surf. 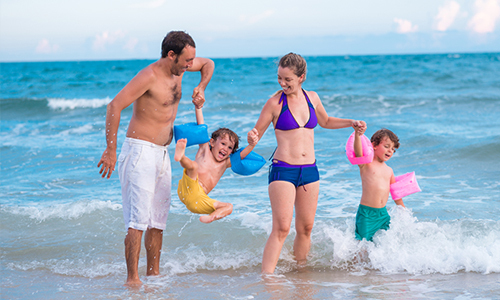 When it's time to see what else the city has to offer, you can walk across the street to Myrtle Beach's seaside Family Kingdom Amusement Park, or spend some time on the rides at Splashes Water Park. 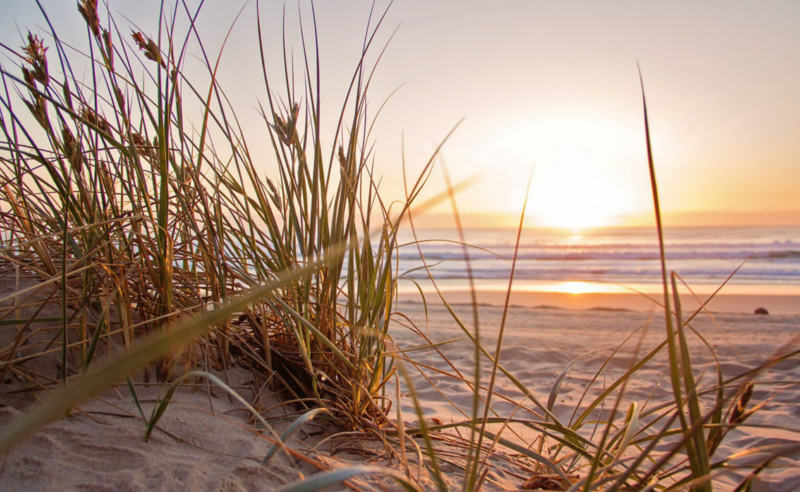 With just a short drive, you can visit a multitude of wonderful Grand Strand attractions like Broadway at the Beach, Coastal Grand Mall, or any of the hundreds of golf courses located throughout the area. 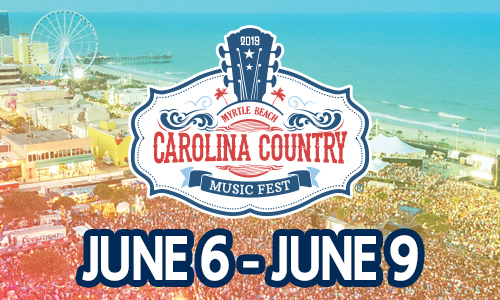 When you reserve your vacation rental with Bali Bay Resort by Beach Vacations, you're sure to appreciate the stunning accommodations and fabulous location that put you right in the middle of the excitement of Myrtle Beach! Escape to the Beach at Bali Bay this year with great packages & specials for any size group. Click one of the specials below to view more details or check out Bali Bay specials page for a complete list of packages. While guests are sure to feel right at home, Bali Bay also brings with it the excitement of vacation. This oceanfront property offers guests fantastic views of the Atlantic Ocean and easy access to the beach. Walking distance from Family Kingdom Amusement Park and adjacent to Splashes Water Park, Bali Bay puts you in the center of all of the fun. 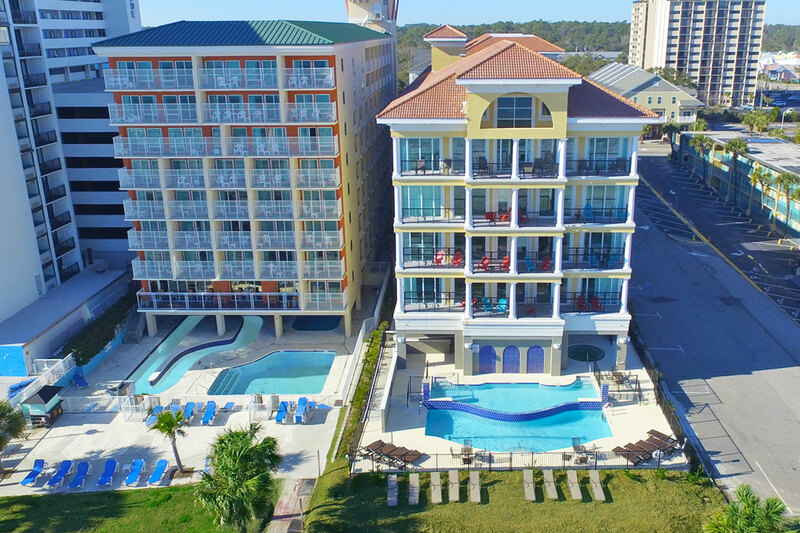 Just a short driving distance from all of the area's best attractions and dining experiences, including the Boardwalk, SkyWheel, and numerous golf courses, Bali Bay is the perfect place to experience the thrill of the heart of Myrtle Beach.